At Walker Antiques, we sell antiques, furniture, and vintage factory parts altered to work in your home. 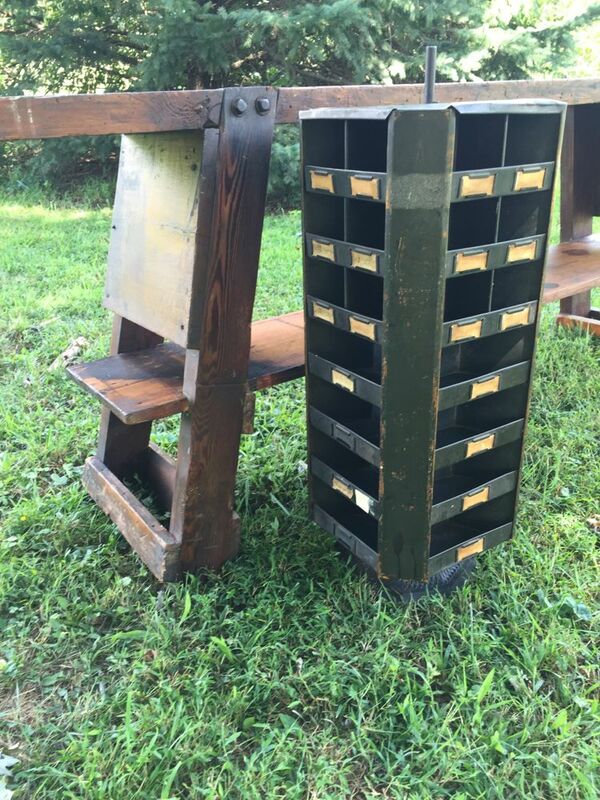 We make furniture from old industrial sewing machine bases, reclaimed wood, and salvaged workshop parts. Our carefully selected vintage lighting, farm primitives, and retro accessories look great with our handcrafted furniture. Add style to your home with our mix of wood and metal, modern and primitive. 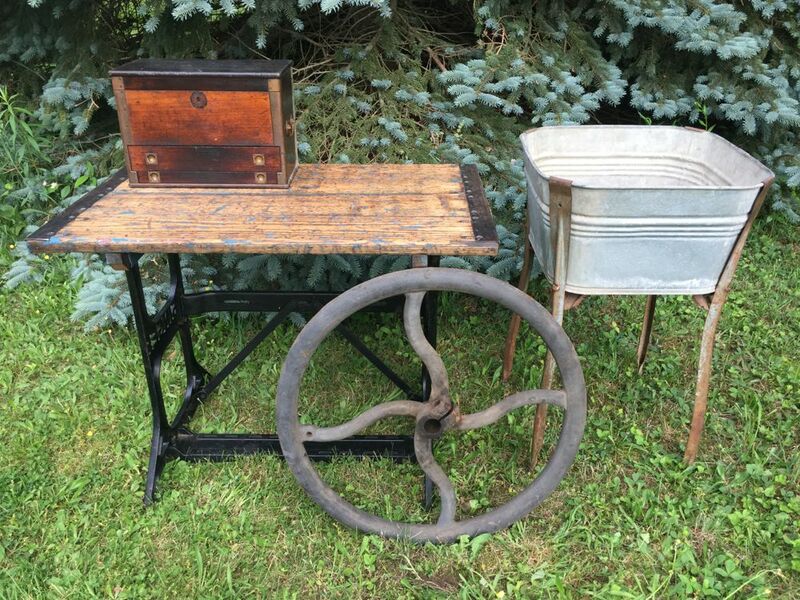 We search eastern Pennsylvania for old workshop, factory, and farm items that are visually interesting and can be put to use in your home. Our furniture, lighting, and accessories look cool and will help you get organized. 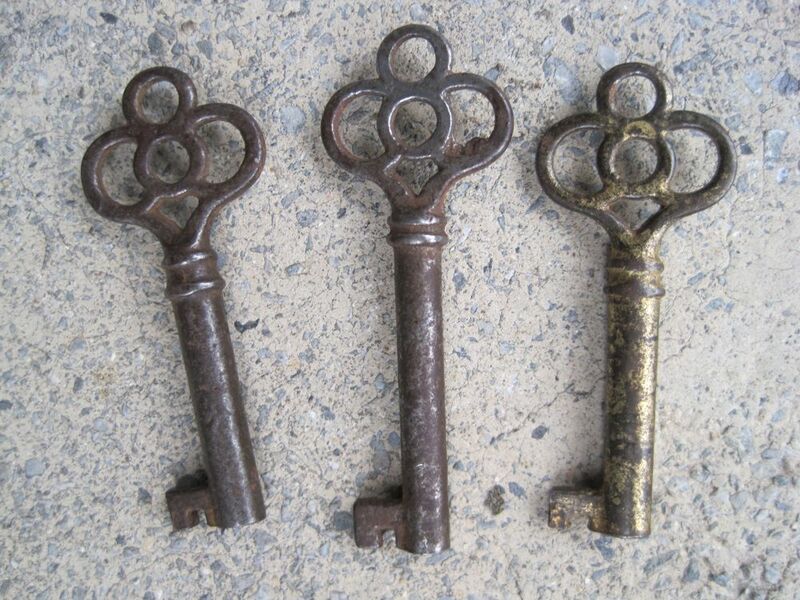 We choose antiques based on function, form, patina, texture, and color. We love mixing wood and metal, old paint and natural finish. 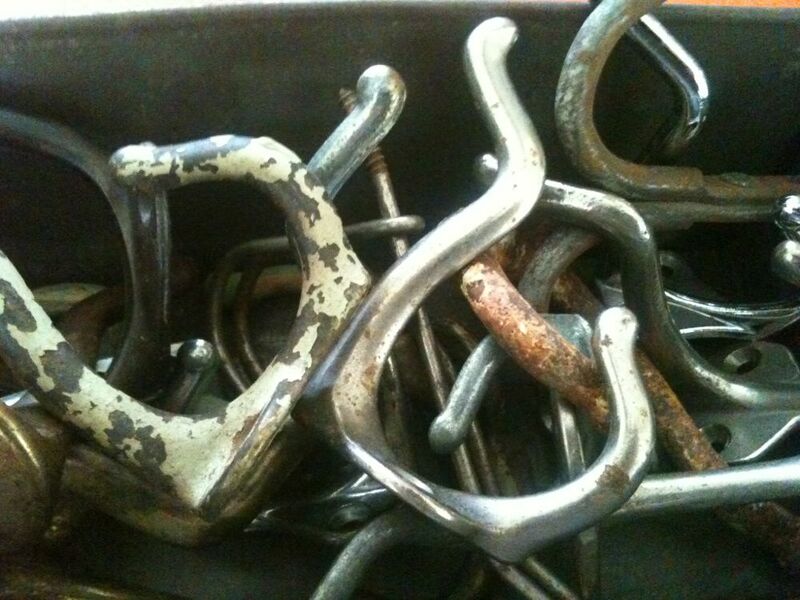 We'll help you use industrial and farm finds in unexpected but practical ways. At Walker Antiques, we sell on ebay, at markets, and at large outdoor shows in the eastern United States. Check our Schedule page to learn where you can see our latest collection. 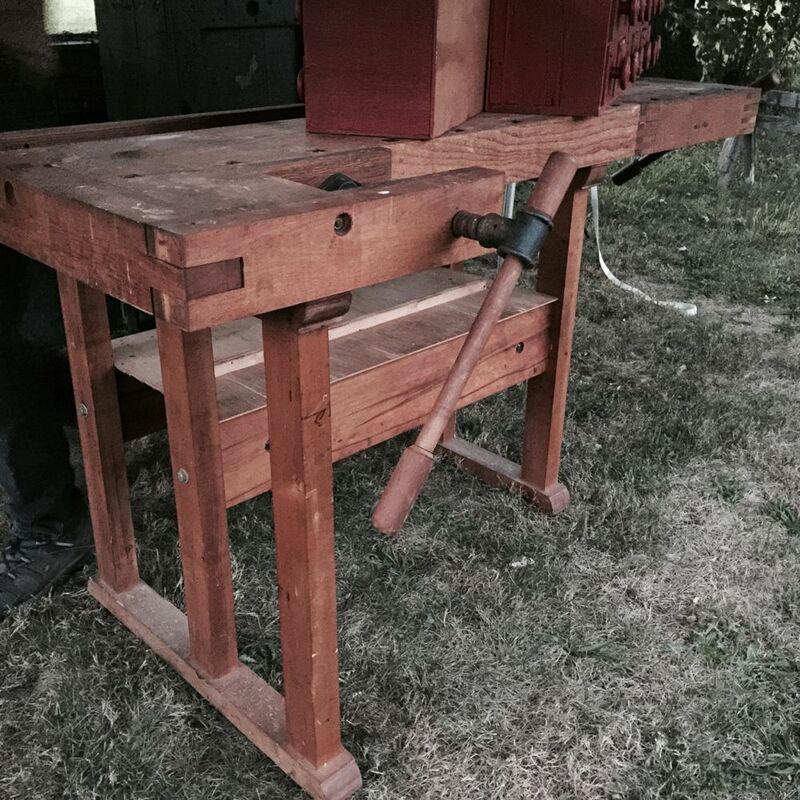 Our mix of unique industrial furniture, farm primitives, antique hardware, and retro accessories will look great in your home.